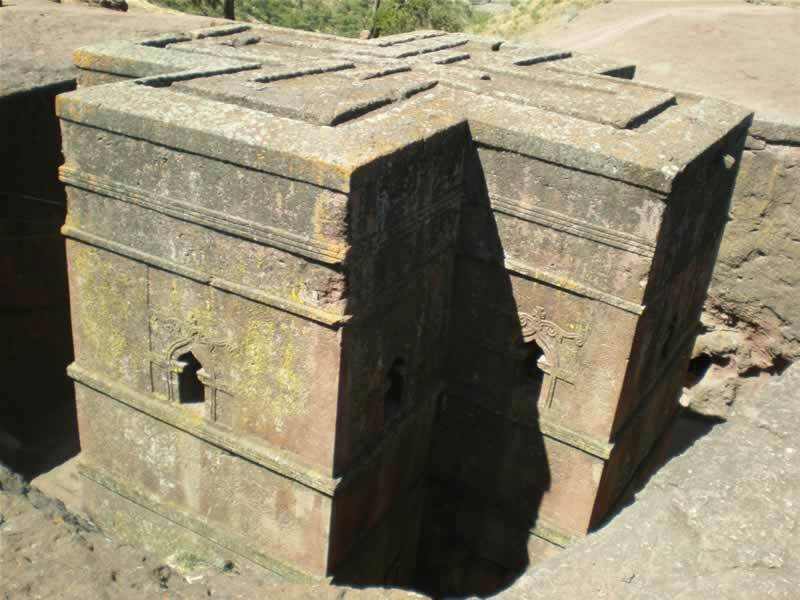 Lalibela: Ethiopia's famous underground rock churches. This is just a post to apologise for not posting anything for the last few days! In spite of the fact that I have done over 100 foreign tours I still find getting ready and packing before going abroad to be a bit of a stressful experience which takes three times longer than it should. Add to this damp and windy conditions for the last few days and you can see that I have little to report other than trips to town for last-minute supplies and a bit of very unsuccessful ringing in my garden, where all birds caught have proved to be retraps. On the 12th I leave for Ethiopia for nearly four weeks, as I am doing a private cultural extension to the churches and tourist sites of Axum and Lalibela after the bird tour. I went to Ethiopia in 1988 but was never really satisfied with the trip, as the less than comprehensive itinerary missed at least ten of the endemics plus several other species found only in southern Ethiopia / Somalia or northern Kenya. This Birdquest tour should correct all that, but frustratingly (presumably for security reasons) doesn’t go to the areas close to the Somali border where such exciting species as Masked Lark, Somali Wheatear and Little Brown Bustard occur. I won’t have the time or resources to update this blog regularly but might, depending on reception, be able to send an occasional update from my phone. Photos and details to follow on my return.